If your body is craving something healthy and tasty, but there is no room for cooking in your overcrowded schedule, it is time to give meal delivery services a shot. Check out our US Wellness Meats VS Moink comparison and find out which one to trust with taking care of your diet. Enjoy amazing meals, hassle-free! US Wellness Meats delivers premium-quality, grass-fed meat of virtually all types, from beef to duck and from steaks to suet. Order commitment-free and choose from a vast range of meat products and extras. Moink is a subscription-based meat delivery that brings you perfectly tasty, ethically sourced meat straight from small, family-owned farms. Choose the kind of meat you want to get, mix it up with some wild-caught seafood if you wish, take full control over what goes into your order, decide on the delivery frequency, and enjoy free shipping and amazing food that comes with a 100% satisfaction guarantee. 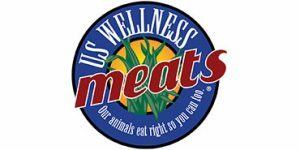 US Wellness Meats brings you grassland beef, bison, lamb, heritage pork, gourmet rabbit meat, elk, venison, chicken, duck, and turkey. You can opt for everything from steaks, chops, and ribs to ground meat, sausages, bacon, organs, bones, and fat. The company also offers keto, Whole30-approved, Paleo, AIP-friendly, and sugar-free meat products. US Wellness Meats provides all-natural, pasture-raised, grass-fed meat free from artificial substances like antibiotics and hormones. The grass animals graze on is pesticide-free. The meat is either freshly chilled or frozen fresh and rich in valuable nutrients like omega-3s, vitamin A, vitamin E, and conjugated linoleic acid. Apart from meat, US Wellness Meats provides wild-caught seafood, healthy snacks, farm-fresh butter, cheese, broths, gelatins, sauces, seasonings, nutraceuticals, produce, and pet food. US Wellness Meats' farm network primarily includes family-owned farms located in northeast Missouri and Illinois. Due to increasing demand, the company occasionally cooperates with family-owned farms from other parts of the country. All the meat you receive from US Wellness Meats is raised in accordance with sustainable, humane farming practices focusing on rotational grazing. The company's seafood is always wild-caught. Ordering from US Wellness Meats does not require a subscription. You can shop at any time, commitment-free. The minimum order value is $75 and the minimum order weight is 7 pounds. If there is something wrong with your shipment, US Wellness Meats can issue a refund or store credit, depending on the cause of complaint and your preferences. US Wellness Meats offers free shipping on all orders but charges a flat $9.50 handling fee. US Wellness Meats ships to all 50 US states, Puerto Rico, and Canada. Moink offers grass-fed, grass-finished beef and lamb and pasture-raised pork and chicken. Its selection usually consists of about 30 items, including standard products like chuck roast, flank steak, pork chops, bacon, and chicken drumsticks and breasts, as well as occasional extras like beef liver and marrow bones. Moink meat is always completely natural and of exceptionally high quality. It is free from antibiotics, growth hormones, nitrates, nitrites, and added sugar. It comes from animals that are pasture-raised, grass-fed, and never given any GMO grains. Its chicken does not contain any added solutions and none of the products contain any artificial substances. Moink primarily focuses on meat, but you can also get wild-caught seafood in your deliveries. Moink exclusively sources meat that is humanely raised and seafood that is wild-caught. The meat comes from small family-owned farms that truly care about the animals they raise and allow them to enjoy their lives in the open while providing them with comfortable shelter. Moink is highly transparent about its sourcing practices and provides plenty of information on all of its partner farms. Moink allows you to easily modify, pause or end your subscription. You can decide on delivery frequency, skip or reschedule a delivery, switch between different subscriptions, and cancel whenever you wish. You only need to make the changes by Wednesday at midnight prior to your next scheduled delivery. Moink products come with a 100% satisfaction guarantee. If you are not happy with your order, reach out to customer support within 7 days after delivery and receive a refund or a replacement in your next delivery. Moink offers free shipping on all subscriptions. Moink ships throughout the conterminous United States. If you can’t find it anywhere, you can find it here. These guys know that steaks are not the only part of the animal worth eating and I love them for it. The quality is great, we mostly order beef but we’ve tried bacon and lamb as well, you can taste that it’s natural. I like that the packs are not huge and the minimum order isn’t too high. Still, it’s a bit expensive for me, not saying that isn’t worth it but I hoped it would be a bit cheaper. Honestly, since I first tried US Wellness Meats a couple of months ago, I’ve recommended it to basically everyone I know. I can’t guarantee it’s better than other meat deliveries because it is the first one I’ve tried, but boy, did it exceed my expectations. Great customer support too. Received 3 orders so far, never a slightest problem. Great meat, the quality is more than obvious, and I'm already hooked on the thick cut bacon, it's possibly the best I've ever had. And thank goodness, no delivery issues. I've ordered from other meat deliveries before and let me tell you, half of the times, I wasn't even sure the meat was safe to eat because of the terrible packaging. No such issues with Moink. Just in case someone's wondering, I'm not giving them 5 stars just because I'm not a fan of subscriptions and getting too much meat at once, but if they keep up the good work, I'll keep ordering. Read the review, ordered because it sounded cool but I didn't expect to like it so much. Awesome beef, awesome customer support, had to come back and say that these guys are the best, hats off to Lucinda and the Moink crowd! US Wellness Meats is a meat delivery service that offers both unparalleled variety and superior quality. It brings you grass-fed, grass-finished beef, heritage red meats, free-range poultry, wild-caught seafood, and numerous extras like farm-fresh cheeses, butters, broths, and produce. Discover more interesting facts in our US Wellness Meats review.